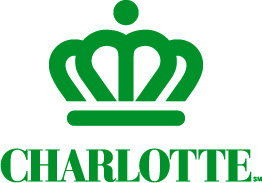 TreesCharlotte is a public/private collaborative dedicated to planting trees through volunteer efforts. This represents an unparalleled civic engagement initiative designed to enhance the City’s tree canopy. Community engagement is the heartbeat of TreesCharlotte, and we owe a debt of gratitude to our tremendous partners. TreesCharlotte is dedicated to protecting and improving our canopy through planting, conserving, and educating. Without the generous support of our team of donors, this mission could not possibly be realized. We are eternally grateful for our strong roster of dedicated supporters. *TreesCharlotte Board collectively contributed $1,042,500 to the Endowment Fund. Individual Board member gifts are also listed. in memory of Reece A. Overcash, Jr.
Mr. and Mrs. R.I. Dalton, Jr.
Dr. and Mrs. Hamilton W. McKay, Jr.
Libby and Edwin B. Peacock, Jr.
John L Dabbs III Ltd.
Dr. John A. Thompson, Jr.
Yvonne and C. Richard Rayburn, Jr.
Victoria and Bartow Shaw, Jr.
Mr. Edwin B. Peacock, Jr.